that or any of mountains and lakes (together in the one pic). ive googled a couple o hundred but there isnt much quality stuff out there. if there is its quite often with a big watermark over it and i cant afford to order prints at the moment. anyone with good resources for this sorta thing? online would be preferrable. Last edited by stoph; July 20th, 2005 at 08:51 AM. hmmm...I went to Alaska a few years ago...I may have some decent photos, but i gotta dig for them. If you're interested I'll send them to ya. http://resurgere.deviantart.com/gallery/ <- he has a lot of good stock photos. Although I haven't been able to find the one with ice floats, but perhaps you can take a look at his cloud and mountain photos meanwhile. There IS a reference section where you can ask for references or search thru stuff already posted. NationalGeographic.com would probably be a good place with all the articles(and pictures) they have on the arctic. precisely what i forgot to look up. i thought about it but then got distracted and alas, it left my mind. thanks for the reminder! to be honest i was originally after a sunrise shot to paint, but i couldnt find anything all that.. magical(?) i thought a nice ice-flow pic would be a good substitute, but then i stumbled upon this. the idea was (and still is) to paint 5 kids flying over an almost fantastical landscape in a photorealistic style. i am planning to do it all digitally, then project the finished product up onto a wall with a data projector for exhibition and moderation purposes. it (the image) is perfect! im really stoked, it precisely what i was after - the mix of light and colour. it couldnt be too dark as i wanted the children to stand out, but it couldnt be regular blue skies, i wanted the vibrant reds, pinks and oranges that only a sunrise could offer. and the ground had to be interesting, yet not overpowering, and simple enough to paint. thanks for your input guys, ill show the progress in the WIP section soon enough! Last edited by stoph; August 2nd, 2005 at 09:39 AM. 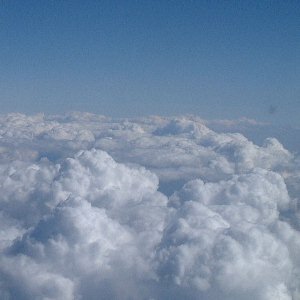 im after aerial photography of clouds, like when youre flying in a plane. if it has mountain peaks then thats an added bonus. tall columns of clouds would also be great. I know this is a little late but if u search iceberg in google u get dozens of the first type of picture u asked for. thanks dude. yeah its just i was after decent ones. there arent many that fit that description oh well..
another good place to check is Corbis.com. They've free registration and really good reference pics. Once you register, you can nab comp photos without the copyright decal. here's a couple of thumbs from an "iceberg" search.